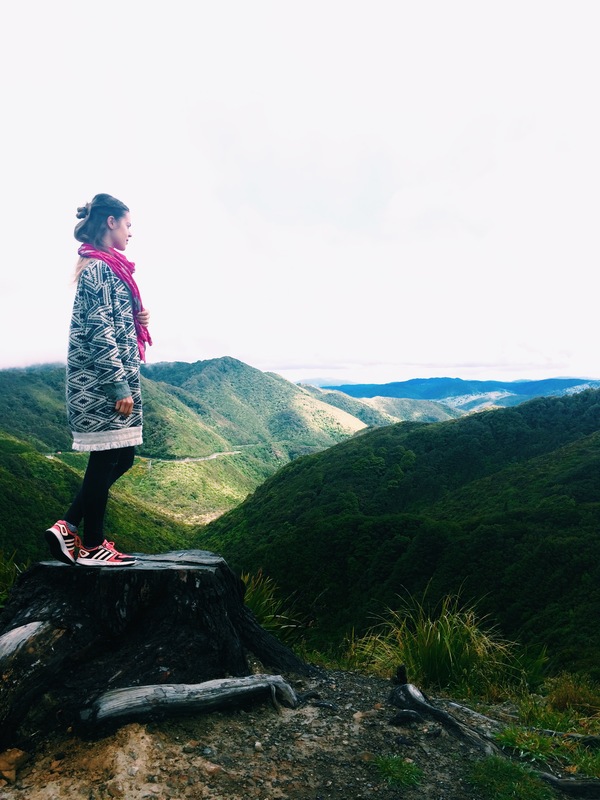 If you’ve never heard about Wairarapa, it’s time to experience this Wellington Day Tour and to get know this tranquil Wellington’s surroundings. It occupies the south-eastern part of the North Island and contains three main sub-regions, Martinborough, Gladstone and Masterton. There are plenty of marvelous places to discover and activities to enjoy. But before you decide to visit New Zealand check the essential packing list for it! If you have only one day in Wellington the ideal way to explore the attractive destination is by car. The drive from Wellington to Wairarapa region also offers an amazing scenic view. 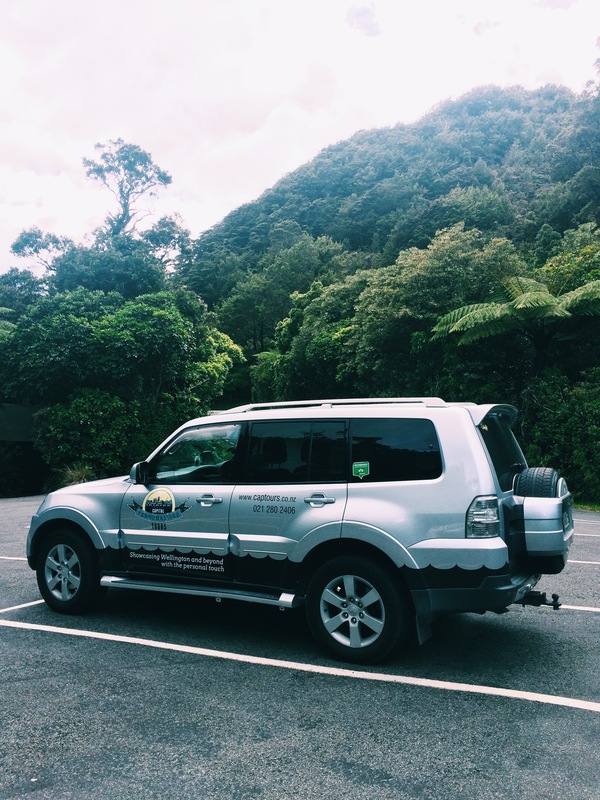 I was lucky to get to know John, who owns and operates Capital Personolised Tours company and offers a great selection of journeys throughout the best spots and surroundings of Wellington. John took me for the entire day to explore the gems of Wairarapa. The best about traveling with Cap Tours is that it does personalised trip in smaller groups, so you don’t need to hurry up if you would like to enjoy picturesque views without time pressure. Nevertheless John’s company is flexible and also provides tours for groups up to 12 people! 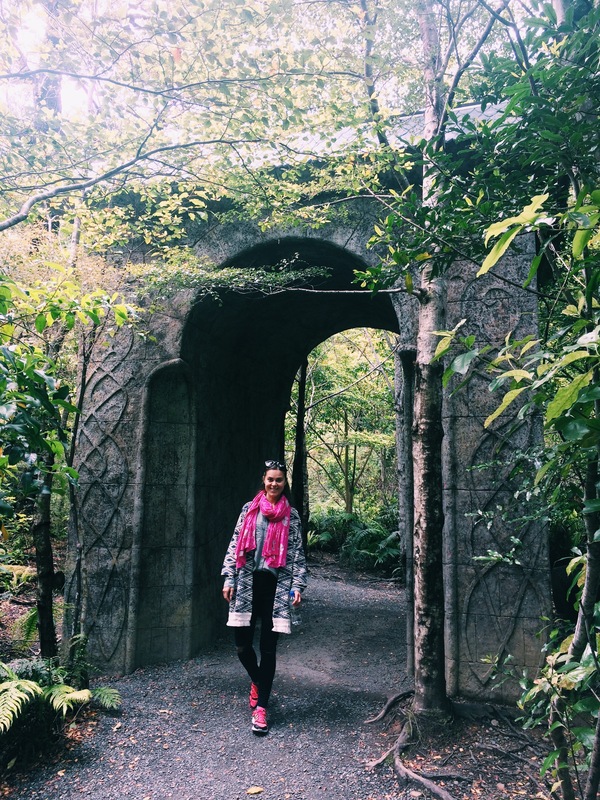 The day trip started when John picked me up from the place where I was staying in Wellington and we drove to our first stop: the exciting film locations of Lord of the Rings in Kaitoke. Shortly about Kaitoke: It’s a magnificent regional park where you can follow the signs to the spectacular Lord of the Rings filming locations complete with information panels. There you will find the secret spot used as the set for Rivendell in Peter Jackson’s trilogy. Faithful fans should doubtlessly be aware that their camera battery is fully charged. 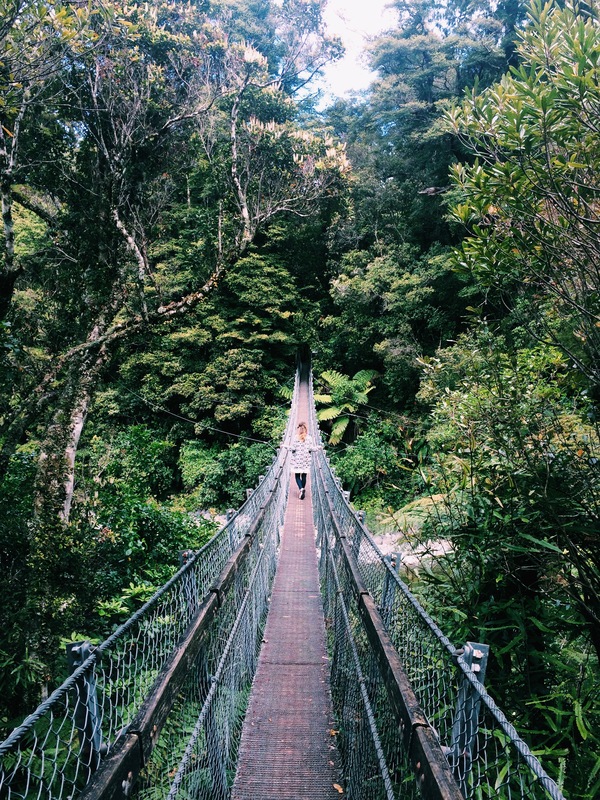 The adventurous ones can walk on the swing bridge and enjoy the views of the Hutt River. There are some cute towns in Wairarapa and one of them is Greytown. It has nothing to do with the grey colour, contrariwise it’s a cute, colourful and sophisticated village with free Wi-Fi hotspots along the Main Street. It’s worth to make a stop and stroll through the mix of independent boutiques, art galleries, antique stores and great cafés. It’s unexpectedly a great shopping destination where you can find various intresting products. I discovered the marvelous organic skin care shop Medina on 81 Main Street. It’s a little heaven for every girl and woman who are aware of taking good care of their skin using only natural, high quality products. 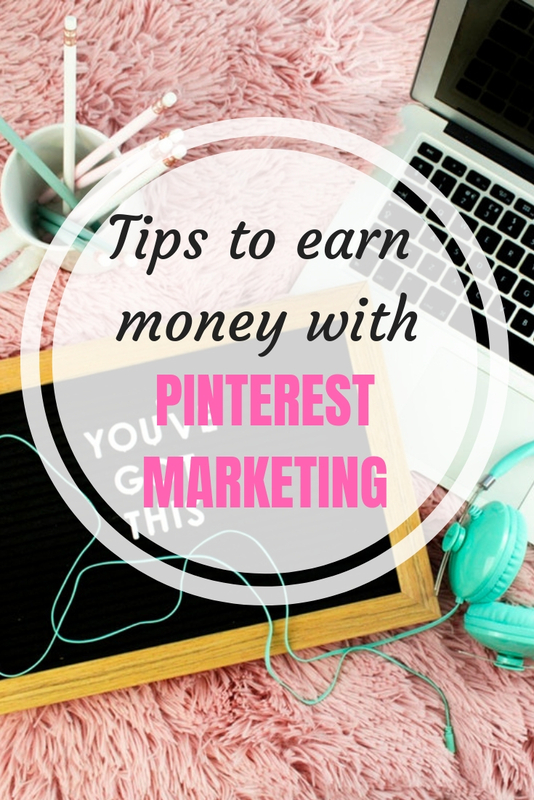 Medina Morin is an inspired owner with a background in beauty therapy. All her products are handmade without any bad toxins and furthermore, they are not tested on animals. You would probably expect that the prices are insanely high, but surprise, surprise! Nothing is over $60 and you can already find natural daily face cream made from olive leaf extract for $35. 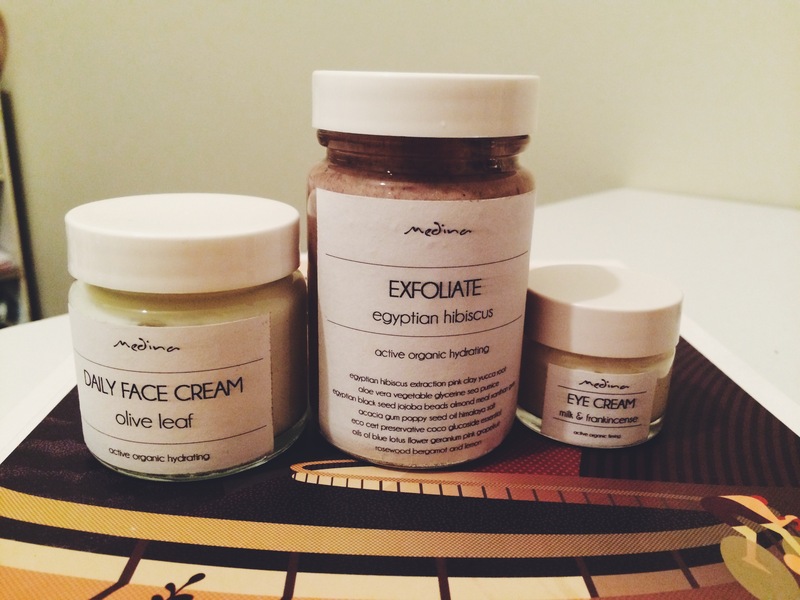 I couldn’t resist and purchased 3 different products: face and eye cream, Egyptian hibiscus exfoliate. Additionally I got a little present, a detox mask tester. I’ve tried them all and they are amazing, my skin has never been so smooth and bright. So don’t hesitate to visit Medina in the shop or online and you can even ask for a consultation. Wine lovers don’t need to be asked twice to explore the surroundings of Martinborough, famous for it’s never-ending grape fields and family owned vineyards. 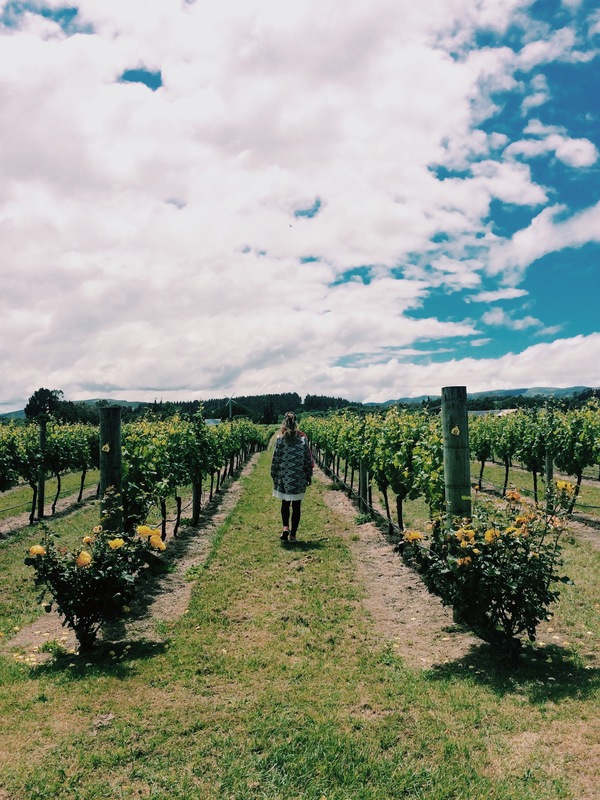 Martinborough features over 30 wineries, most within walking distance of each other. If you decided to come without John’s luxury 4WD then you can rent a bike and experience a diverse representation of vineyards in a sporty way. The vineyards are not only for admiring but also to taste the great wine of Wairarapa. You will doubtlessly discover why Martinborough is famous for it’s Pinot Noir and Sauvignon Blanc. 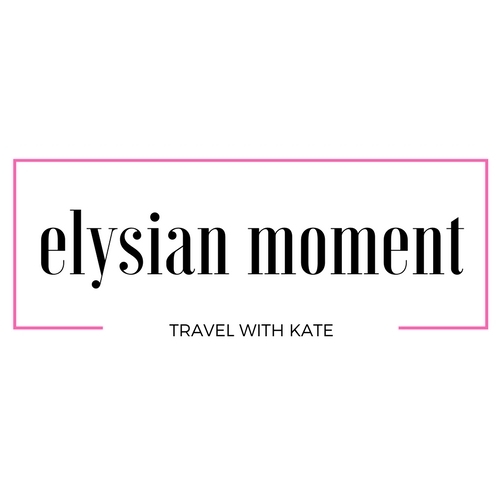 If you have the opportunity to visit this area in November don’t think twice: Toast Martinborough will be on, a famous wine, food and music festival. 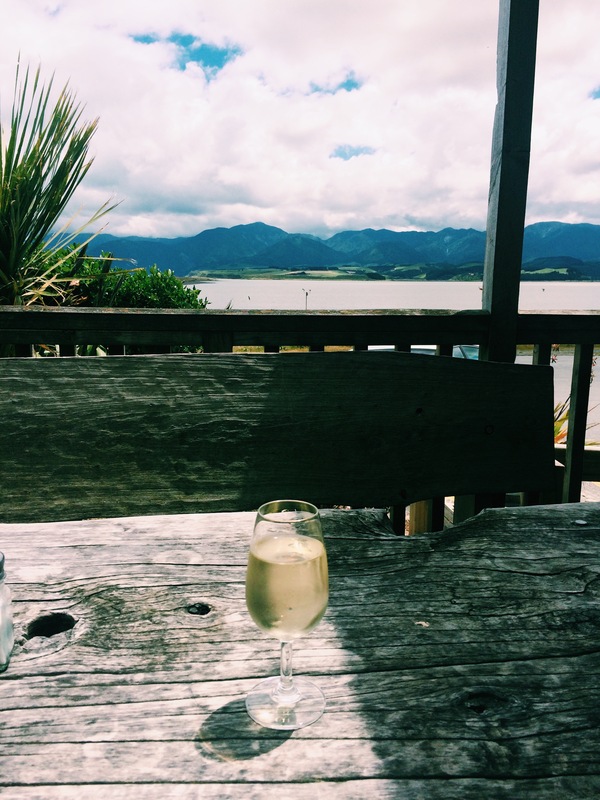 Martinborough is just 1 hour and 15 minutes away from Wellington but it’s an ideal rural place to escape the hectic city and to enjoy high quality food and world class wines. Furthermore there are marvelous olive groves producing the finest award winning olive oil. If you have an opportunity to enjoy your sunny day somewhere else, then definitely go to this picturesque colonial village! Tip: Hungry one’s shouldn’t be worried, John from Cap Tours will take care of it and bring you to a top local restaurant to let you experience the best of the surroundings! Colony of cute fur seals, count how many you can see! 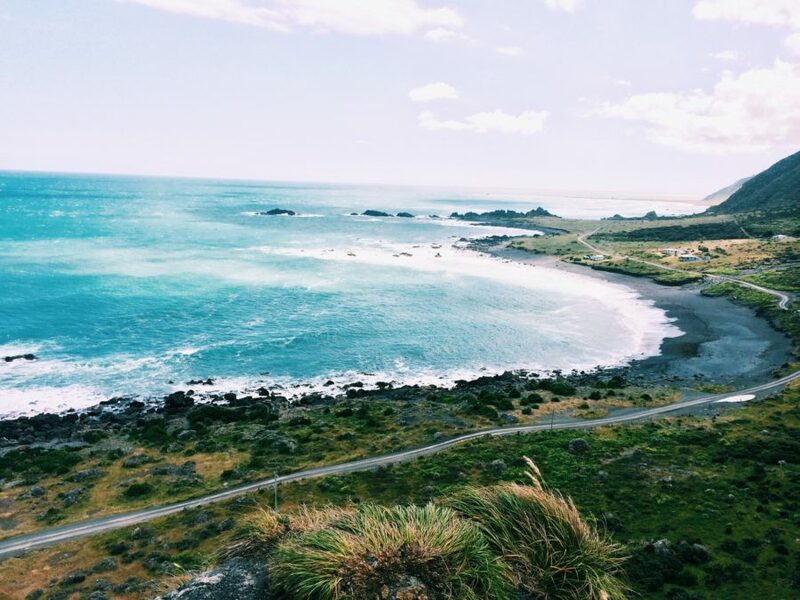 Cape Palliser is the most southern point of the North Island of New Zealand. The road to it is dramatically scenic and offers a fascinating sea and landscape. 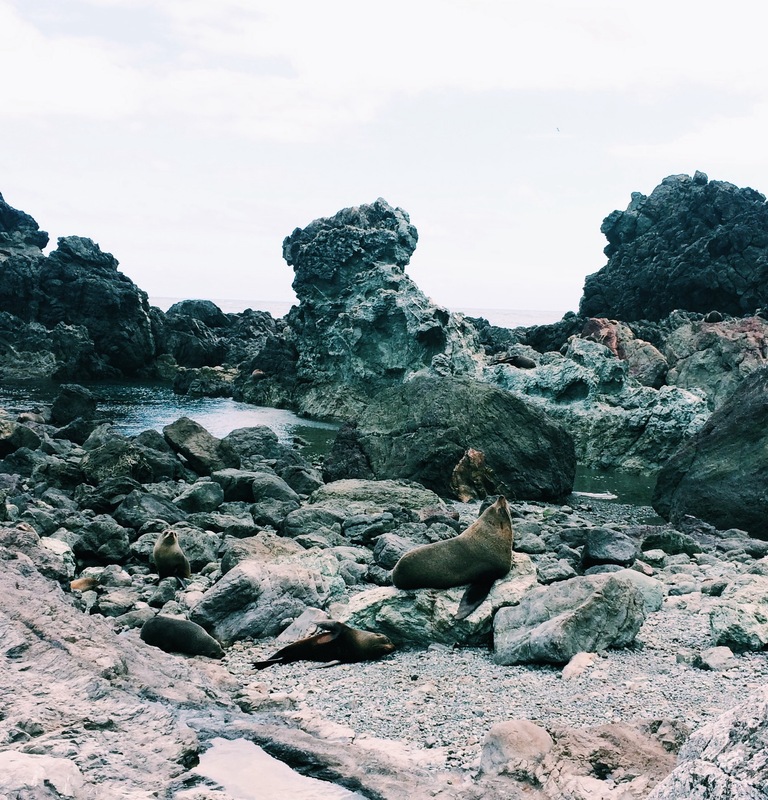 Furthermore on the roadside of the Cape is the largest colony of New Zealand fur seals. It’s worth to make a stop and observe sleepy voluptuous animals camouflaged on the rocks. The seals in New Zealand have lovely pointy noses and long whiskers. If you go on an adventure between November and January you will see plenty of adorable seal babies. Just be careful and don’t come to close to them, the seals may seem huge and lazy but they can move pretty fast when the feel threatened. 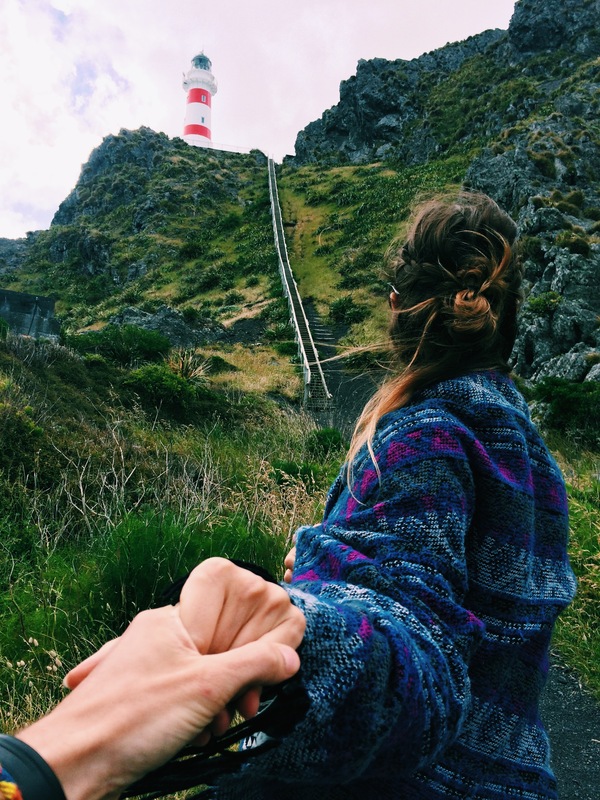 When you reach Cape Palliser Lighthouse, which stands there since 1897, don’t be frightened by the notable 251 step climb to the cliff, it will test your fitness. On the top you will be rewarded with the unforgettable scenery of Palliser Bay. Unfortunately there is a sad story behind the deep majestic ocean: during the 19th century more than 20 ships wrecked near this area. Although it’s an incredible place to watch waves dramatically crash, to hear the strong wind roar and to feel one with nature. 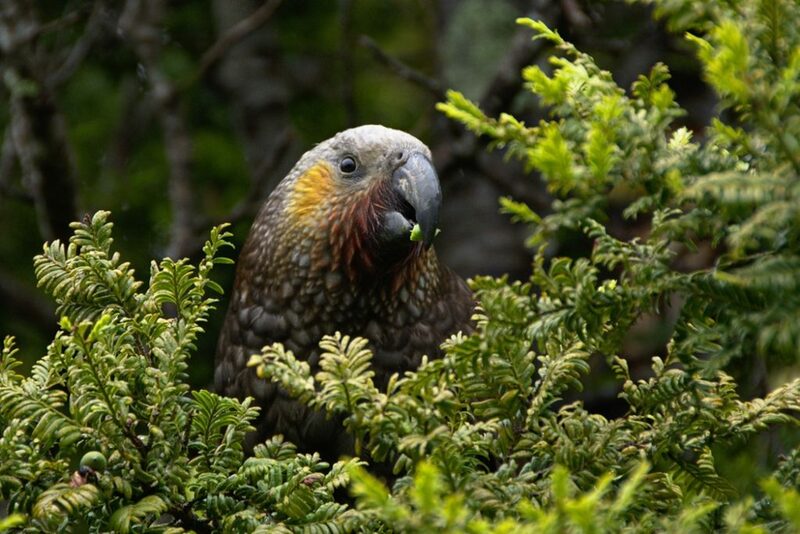 You can also see Native New Zealand Wildlife in the wonderful Pukaha Mount Bruce National Wildlife Centre. There are various rare birds and the world-famous in New Zealand “Manukara”, unique white kiwi bird. Tui is the most iconic New Zealand beer and it is brewed in Mangatainoka. You can visit the brewery, taste beers and buy something nice at their “Tui” shop. There are plenty of various hiking, walking and biking tracks. There are awesome coastal views, easy walking forest parks and more Lord of the Rings locations.